Bitcoin Digital Currency – If someone asks you that which is world’s best-performing currency? What could be your answer? I am sure that many of you must be thinking about dollar or pound. Well, best performing currency globally is Bitcoin. Bitcoin is fastest growing and costliest digital currency all over. You may be surprised to notice that a return given by a bitcoin in past one year has beaten all other asset class. If you have purchased Bitcoin before one year you could have earned 150% by today. Bitcoin is decentralized digital virtual cryptocurrency. Bitcoin can be saved, spent, invested anytime anywhere. It can be traded online on open source peer to peer platform. The best part of Bitcoin is no fees is required for buy and sell of bit coin. The usage and popularity of Bitcoin are increasing in India after demonetization. It is estimated that more than 50% of black money is converted in bitcoin during demonetization. Bitcoin is most expensive currency. You need to pay $989 to purchase 1 bitcoin. In terms of INR, you need to pay Rs.66000 to purchase 1 BTC. The bitcoin has performed extremely well and given exceptional return to the investor. In last 6-month bitcoin has given 134% return to the investor. On 30th September, 2016 cost of one bitcoin was $421 and today it is costing $989. If we check past performance for one-year bitcoin has given 150% return to the investor. In February, 2016 price of bitcoin was $393 and today it is costing $989. The historical performance says that value of digital currency bitcoin will surely increase. How you can purchase Bitcoin? Bitcoin can be purchased from different bitcoin currency exchange networks online. These networks allow users to buy and sell BTC from their chosen form of currency including INR, USD, and Euros. In India, you can purchase BTC currency from following exchanges. 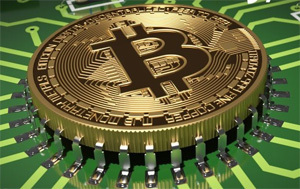 Why Bitcoin Trading is illegal in India? By now you must agree with me that Bitcoin is best performing digital currency and you must be excited to purchase bitcoin. However, please wait as per RBI notification dealing in Bitcoin is an illegal affair. In addition to that RBI advises that they have not given any authorization/permission/license to anyone to operate any scheme related to Bitcoin. The risk of dealing in virtual currency like bitcoin completely lies on the investor, trader or holder. The risk associated with bitcoin is mentioned below. It is not monitored and controlled by the regulatory body. Holding detail of this currency is not transparent. This currency is widely used by a hacker for demanding ransom from helpless victims. It is but natural that risk mentioned above cannot be ignored, however, it is good to develop our own digital currency that can be used to replace current paper currency concept. What is your take on Digital Currency? Do you hold, trade or advice to invest in digital currency like bitcoin?